In 1889, Sir Alexander MacKenzie, Principal of the Royal Academy of Music, put forward to Sir George Grove, Director of the Royal College of Music, his intention to unite their pre-eminent music training institutions to create “an examining body inspired by disintegrated motives for the benefit of musical education”. This merger eventually became known as ABRSM (The Associated Board of the Royal Schools of Music). Based in London, UK, ABRSM offers music theory and practical examinations and diploma qualifications in music for up to 35 instruments, at centres around the world. 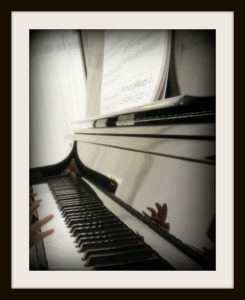 Bloom School of Music & Arts is an appointed ABRSM Practical Examination Centre in Singapore, with a large sound-proofed exam studio equipped with a Yamaha U1 piano. ABRSM is a registered charity committed in supporting students to unlock their musical potential by encouraging them to “build skills, knowledge and understanding incrementally, whatever their background”. It believes that “access to high-quality, progressive music learning is the right of everyone”. Cramming jams your brain by lowering its ability to retain information and in turn causes anxiety. Create a study plan and schedule, and then study in intervals of 20-50 minutes before giving yourself a 10 minutes break. This method will enable you to study each subject in its entirety and ultimately boost your final performance. Forget about burning the midnight oil. This impairs reasoning and interferes with recall. The night before the test, just review the toughest material, and then go straight to sleep! But not just any breakfast! Ensuring that your breakfast consists of high-carb, high-fibre, slow-digesting food such as oatmeal, fruit and vegetables will help support your performance. Start this diet as early as a week in advance for better results. Exercise increases your energy levels and lowers the effects of stress. So do 20 minutes of jogging, walking, dancing, or any form of cardio, to improve your memory! There is no ‘one-size-fits-all’ type of studying for all subjects. The way you study for Science will not be the same way you study for English. So learn the best methods to approach that subject by getting specific help. 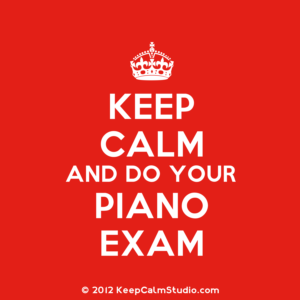 Here, ABRSM has written some exam preparation guides. As you scroll through the links on the panel on the left, you will find helpful information, and even practice tools you can use to prepare for your final exam. To end off this post, here’s a trending tongue-in-cheek by KeepCalmStudio.com. Good luck with your exams!